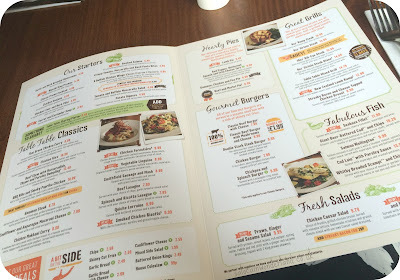 When it comes to family, one of the things we love to do most when we get together is to go for a meal. Since moving out, I don’t get to spend as much time with the family as I used to, and with everyone having work and their own lives to get one with, it’s nice to just sit down together and catch up. When the Derby Lodge, Merseyside, invited me down to check out their new Spring menu, I gathered up the clan and took them along for a food fuelled family feast (say that three times fast!). 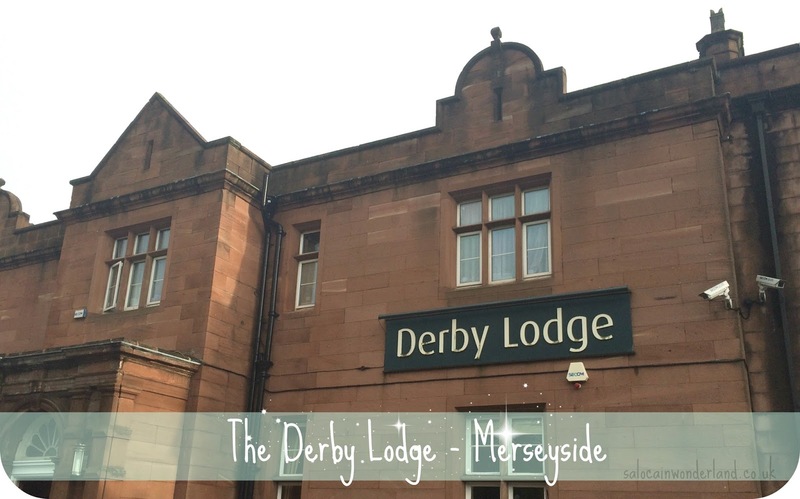 The Derby Lodge, Huyton, is located just off the M62, overlooking Bowring Park Golf course with a Premier Inn attached too. It’s a fantastic, higher end feeling pub run by Table Table that offers you traditional pub fare amongst some slightly more adventurous options, ideal for catch ups, get together and celebrations. It’s been a whopping 13 years since I last stepped inside The Derby Lodge and it still has that warm and welcoming atmosphere I remember. We headed down on a Saturday afternoon, with a table pre-booked for 4pm. We got a table in the conservatory which is filled with light and has some cracking views onto the golf course and beer garden out back (you know I’ve already got my eye on one of those picnic tables for the Summer!). To start, we grabbed some starters to share. I’m all about sharing starters as most platters usually have one or two things on that I’m not a huge fan of, so picking a few odd ones is like a create-your-own or, as my brother would say, Sarah being a greedy cow. He loves me really…I think. The Garlic and herb breaded mushrooms were placed in front of me and after one, I was reluctant to pass the plate around. They were so good, so hot and not soggy! Whenever I make them at home I always end up with a really soggy side. These were scrumptious. The chicken goujons were pretty plain and simple but did come with a Piri Piri sauce on the side that was really hot (for me anyway) and made something simple into something much more exciting. Finally, the BBQ chicken wings, there were 6 on the plate and they were all really meaty and covered in sticky bbq sauce, the cutlery had to be put down and it was all fingers and faces. Next up, mains. I went for the chicken kiev; chicken stuffed with garlic, tarragon and herb butter, all wrapped up in crispy breadcrumbs, served with greens and buttered parsley potatoes. It was delicious, really fresh and hot and very garlicky, just how I like it! Dad fancied the chicken forestiere; chicken breast topped with sautéed mushrooms, Diane sauce, crispy fried onions and bacon on a bed of mash. His portion size was huge and he didn’t leave a scrap or crumb behind, so I’m going to go out on a limb and say he really enjoyed it. The brother went for the double stack steak burger; two 4oz steak burgers layered with melted cheddar cheese and smoked streaky bacon, served with fries. I always say you can really judge a place on how it does the simple things, like burgers, and his looked great, with the juices dripping and the cheese melting, I was lucky to even grab a picture before he demolished it. Last but not least, the fussy, or as she prefers to say, limited eater, my Mum, went for a chicken breast burger, usually, a spicy breaded chicken fillet topped with Piri Piri sauce, we had a chat with the waitress and was able to order her a very plain and simple, no spice required, breaded chicken breast burger with salad and fries. It came out exactly as requested and didn’t take any longer either - remember when you would order a plain hamburger in McDonalds and it would take forever to come out? Thankfully not the case here! As full as we all might have been feeling, there is always room for dessert and I’d eyed them up before I’d even chosen my main! I’ve been addicted to crumbles lately so I instantly went for the apple and blueberry crumble with custard. It was scrumptious! The apples and the berries had all mixed together giving the crumble this really psychedelic pink colour when mixed with the custard and as desserts go, mine was easily the biggest out of everything we ordered and would have been ideal for sharing (not that I ever would!). The chocolate and caramel tart came with a serving of coffee ice cream which my brother really enjoyed. Dad opted for the tiramisu which was a generous size and came with a serving of cream and he gave it two thumbs up. Mum treated herself to an epic rocky road sundae that was bigger than her head! She cleaned the glass! From start to finish, everything was piping hot, fresh and seriously delicious, so much so we’ve already planned to pop back for an upcoming birthday. Our waitress, Julie, deserves a huge shout-out, she looked after us so well, gave us some great recommendations and had a laugh with us too. We wiled away a rainy afternoon with good company and great food, do weekends get much better than that? How do you catch up with your loved ones? Table Table kindly provided a part payment for our meal in exchange for this review. All thoughts and opinions are 110% my own :) For more information, see my disclaimer here. The chicken burger looks delicious and I could definitely eat that chocolate and caramel tart and the sundae!